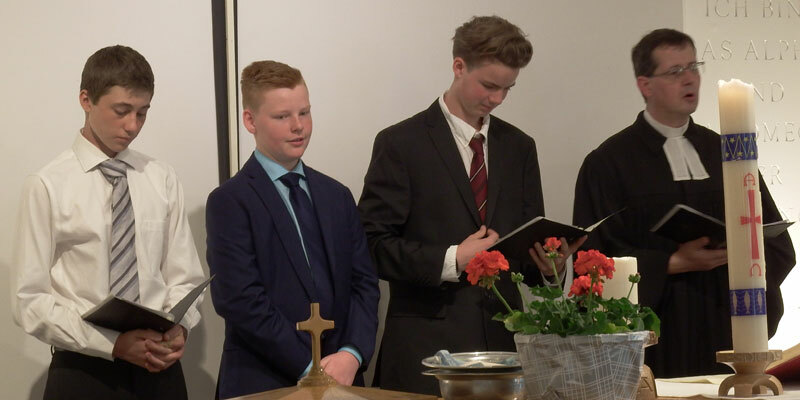 With the confirmation (latin: confirmatio = fastening, affirmation) the confirmand retrospectively affirms within the worship service the promises which the parents and the godparents had made for him at his baptism as a child. Part of the confirmation is the confession of faith. Therefore the youths learn in the confirmation classes the main tenets of faith and search together for what supports them throughout life. The period of confirmation class is also a time of special fellowship lived and celebrated on excursions and various feasts. If somebody will be baptized as an adult the baptism classes are similiar to the confirmation classes. Being confirmed gives the right to partake of the Lord’s supper in any protestant church, to become a godparent, to baptize in an emergency and as an adult to take part in church elections or to be elected for an honorary post.